To help you grow, manage and preserve your wealth, so you can focus on what brings true meaning to your life and legacy. As a seasoned wealth management advisor, I understand the importance of family and the desire to leave a lasting legacy. For nearly 40 years, I have been providing tailored financial guidance and investment management strategies to successful individuals, families, small business owners and nonprofit organizations locally in New Jersey and across the country. I have dedicated my career to helping people like you define and achieve their long-term financial goals. I believe it is my responsibility to be aware of the changes in your life, so I can anticipate and respond strategically to new risks and emerging opportunities. The result is a coordinated financial and investment plan, updated regularly, that concentrates on meeting your particular wealth management goals today and for the generations that follow. With passion and attention to detail, I guide you in making sound decisions about your wealth through ongoing education and a commitment to the best service possible. We begin with a deep understanding of what’s important to you, your family and your legacy. This information serves as the foundation for the development of a comprehensive financial plan, which includes important strategies to minimize taxes, save for retirement, invest your money, manage your estate and give to charitable organizations. I look forward to getting to know you and sharing details on how we can work together to enhance the quality of your financial life. My ultimate mission is to empower you to be more confident now in making important financial decisions, while enabling you to transfer wealth to future generations or your most cherished philanthropic interests. Over the past 40 years, I have cultivated a strong and enduring practice that proudly represents my community. With clients local to the Morristown area and others who have moved across the country, I enjoy working with each family as if they are an extension of my own. While each client has unique circumstances, they all have one thing in common: The desire to simplify their finances and develop an integrated wealth strategy that serves their current and future goals. I am proud of the personalized service and attention to detail I provide each client and welcome the opportunity to deliver this same level of excellence to you and your family. My results-driven process takes a 360 degree view of your wealth. This leads to solutions that are not only designed to reach specific financial targets, but are reflective of who you are and how you want to share your wealth. I bring a lifetime of experience to my role as a wealth management professional. For more than 40 years, I have worked closely with highly successful individuals, families and nonprofit institutions, providing customized advice through a disciplined investment approach. My specialized skills in planned giving and business succession planning enable me to help my clients understand the intricate details of their wealth, so I can developed tailored strategies focused on achieving their particular goals, while leaving the legacy they desire. Throughout my career, I have remained committed to professional development. 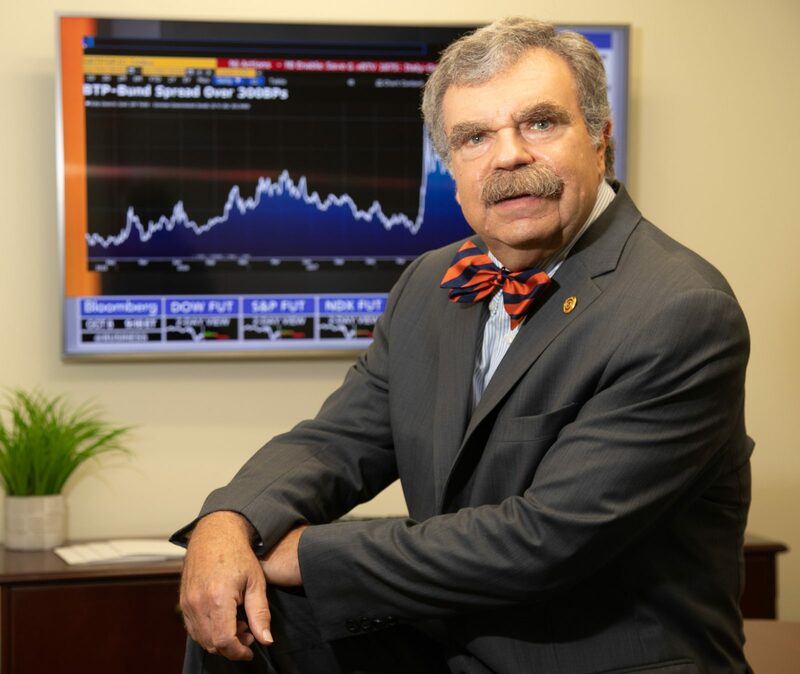 A graduate of the University of Virginia, I have earned such important designations as Certified Investment Management Analyst (CIMA®), Chartered Advisor in Philanthropy (CAP®), Chartered Private Wealth Advisor (CPWA®) and Certified Wealth Strategist (CWS®). These credentials demonstrate my ongoing commitment to a world-class client experience. I am a strong believer in giving back to my community and have been actively involved in community service my entire career. I am currently a member of the Morristown Rotary Club, the Planned Giving Advisory Council for the University of Virginia and the Estate Planning Councils of NYC and Northern New Jersey. Over the years, I have served as the Treasurer of the NY chapter of the Investment Management Consultants Association, the NJ Chapter of the Association of Fundraising Professionals and the Tewksbury Land Trust. In addition, I am a member of the Board of Directors of the NJ Council of Charitable Gift Planners and the NJ chapter of the National Association of Charitable Gift Planners. I served on the Planned Giving Advisory Councils for many organizations, including the NY Presbyterian Hospital, the Hackettstown Region Medical Center, the NJ Symphony Orchestra, Georgian Court University, and local chapters of the American Heart Association and American Cancer Society. Originally from Montclair, I am a long-time resident of Tewksbury Township, where I live with Deborah, my wife of 41 years, and where we raised our two grown children. Morgan Stanley’s culture of global citizenship is something I embrace locally by leveraging our global resources in the communities where we do business. The firm invests in children’s health initiatives along with education, diversity and cultural programs that better our people and environment. I am proud to be a member of the Morgan Stanley family for nearly 40 years and carry on the firm’s tradition of supporting our local communities. Outside of the office, I enjoy playing Adult Men’s hockey year-round. Ready to start a conversation? Contact Geoffrey Close today.